Palynofloras are essential to studies of the K-T boundary in nonmarine rocks. Numerous aspects of the nature of palynofloras must be considered when using them in such studies. These include: taxonomy (pollen or spore species vs. botanical species), preservation and preparation, sample size, facies effects, reworking or redeposition, stratigraphic resolution, and geographic coverage. These topics are covered in depth in textbooks on palynology (e.g., Traverse 1988b, Jansonius and McGregor 1996, Jones and Rowe 1999), but to be complete in our coverage of the use of palynofloras to study the K-T boundary, each of these topics is briefly discussed in this section. Most genera of angiosperms (flowering plants) produce pollen with distinguishing morphologic features unique to those genera (number of apertures, exine structure and sculpture, size, etc. ), which are the basis of palynological taxonomy. Most species within individual genera share the same characteristic features. Hence, whereas individual living and fossil genera can be differentiated, in most cases individual species cannot. Therefore, as a general rule, fossil pollen species can be thought of as representing botanical genera in the fossil record, and fossil pollen genera can be thought of as representing botanical families. This generality complicates the comparison between palynofloral and megafloral systematics. Comprehensive descriptions of the pollen morphology of living genera and species are in Edrtman (1965, 1966), and discussions and examples of the relationships of fossil pollen taxa to botanical taxa are in Muller (1970) and Traverse (1988b). Palynomorphs (in nonmarine rocks: pollen of angiosperms and gymnos-perms, spores offerns and other cryptogams, and fungal spores) are organically preserved in fine-grained sedimentary rocks in vast numbers, especially in carbonaceous facies. They are acid-resistant and can be prepared for microscopic study by a variety of procedures usually involving disaggregation and chemical digestion of the sedimentary matrix. Details of what constitutes standard palynological preparation techniques are described in Doher (1980) and Traverse (1988b). In palynologically fossiliferous rocks, usually only a few to several grams of sample will yield thousands of specimens. Palynomorphs are not abundantly or well preserved in sandstone or coarser clastic rocks or in any rocks that have been subjected to oxidative weathering. The deleterious effects of surface weathering must be kept in mind in sampling outcrops; drill cores usually obviate this potential difficulty by retrieving samples from well below the zone of surface weathering. Palynomorphs are not uniformly distributed, even in fine-grained sedimentary facies. Lacustrine and mire deposits tend to preserve greater numbers of pollen and spores produced by the local flora of the depositional environment than do fluvial deposits. However, by virtue of the vast numbers of pollen and spores produced by local floras and their distribution to sites of deposition by wind and water, the regional as well as local vegetation usually is represented in the fossil record (Campbell 1999). Thus, palynomorphs are useful not only for paleoecolo-gical studies but for age determination and correlation. The relative abundance of various palynomorph taxa can vary in response to paleoenvironment and sedimentary facies. Therefore, in palynostratigraphic analysis, the presence or absence of a taxon most often is of greater significance than is its abundance. Because of their small size and resistance to degradation, palynomorphs can be subject to reworking (emplacement in younger strata via erosion and redeposition). Specimens eroded from older deposits can be deposited in slightly younger or even much younger deposits, with or without contemporaneous microfossils. By virtue of their durability and the fact that they may be stratigraphically recycled enclosed in tiny chips of mudstone, reworked paly-nomorphs often show little evidence of being out of place, except perhaps from context. 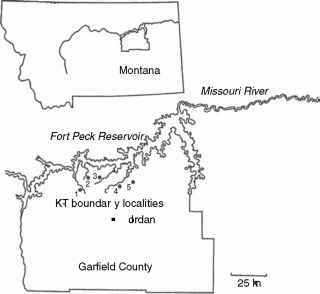 Reworking is an important issue that affects interpretation of microstratigraphic studies of the K-T boundary. Just as the Signor-Lipps effect can make an abrupt extinction appear gradual by smearing the record down-section, reworking can distort the record by smearing it up-section. Because palynomorphs occur abundantly in suitable lithologies and can be recovered in significant numbers from small samples, stratigraphic resolution is possible at the centimeter and even millimeter scale. The stratigraphic resolution possible using palynofloral analysis ultimately depends upon the precision of sampling, the quality of preservation of the fossils, and the thoroughness of taxonomic research that can be applied.